The Oklahoma State Fair is looking for a wildcard judge for the Great Taste of a Fair! I could sample all of the state fair food and crown the winner (if I am lucky enough to get picked). Umm hello, this is a dream! Last week I made my Top 10 Foods to Eat at the Oklahoma State Fair list. Let's just say that inspired me to recreate my favorite, The Cap'n Crunch Corn Dog. Before I made my trip to Target for ingredients, I did some research. 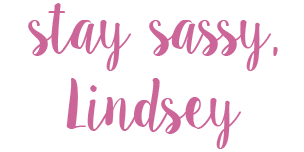 Guys, I google things way more than what I would like to admit (Google + Lindsey = BFF's forever and ever amen). I came across The Pioneer Woman's Clasic Corn Dog recipe. I figured that would be a great base for my corn dog. I just needed to grab some of the sugary cereal to add a coating. I have never deep-fried anything in my kitchen. I am trying so darn hard to be healthy. Well...that went out the window last night around 5:00 p.m. and I documented the whole thing via Snapchat. Real talk, this recipe makes a lot of batter. For two people, it's way too much! I cut the recipe in half, and it worked just fine. I added the cereal into a large freezer zip-top bag. After I had sealed the bag, I smashed the cereal with a rolling pin until it was like a fine dust. Smashing things is a great way to relieve stress; you go girl--pound away all of your frustrations! I poured the mixture into a bread pan and set up my work station. After I dipped the hot dog into the batter, I immediately coated it with the crushed cereal and placed it into the fryer. Be sure to test the oil before you toss a hot dog into it. To do this, I coated a spoon in the mixture. I dropped a few dots into the hot oil. You can tell that the oil hot enough if the batter starts to bubble and turn a golden color. The best part about this whole recipe? It goes fast--set your timer and don't crowd your pot. Just follow the recipe from PW, make my little addition, and you can have an Oklahoma State Fair fan-favorite anytime you want. I will not guarantee this is how the professionals do it, but hey--it tasted pretty delicious to me. 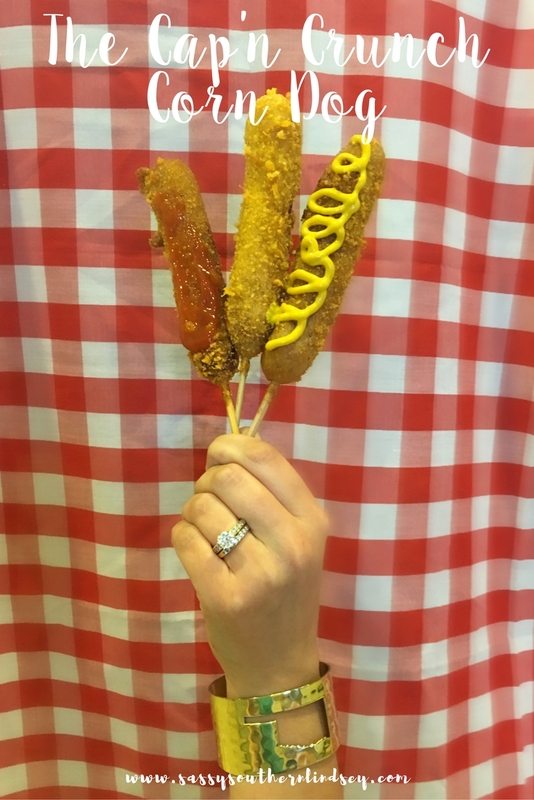 The Cap'n Crunch Corn Dog is like a regular corn dog with a hint of sweetness and a MEGA crunch! The great debate, what is your condiment of choice when it comes to corn dogs? I wanna know! My pick is mustard, all the way! Oh my goodness, YES! And mustard all the way! Which is funny, because I hate mustard on anything other than corn dogs! I LOVE mustard on everything! I am like the only person on the planet that hates ketchup. Oh my goodness! After reading your post last week I knew I had to try one of these this year and now I know I can make them if I fall in love! What's your snap name?